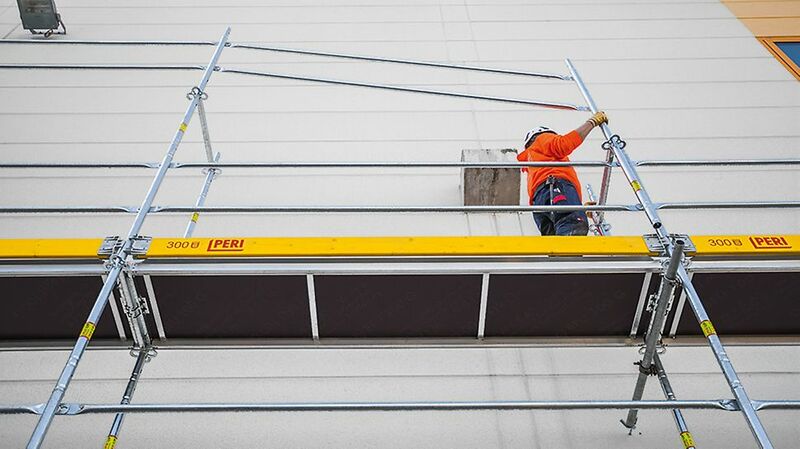 PERI UP Easy is a "lightweight" among the steel facade scaffolding systems and stands for quick and simple assembly. 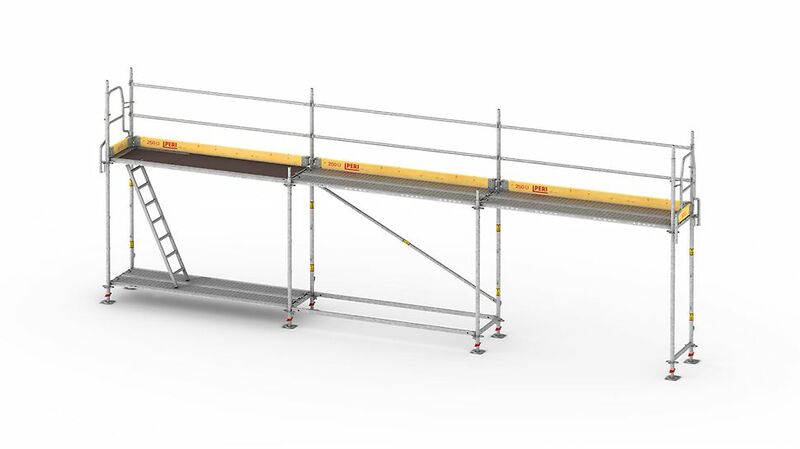 As the guardrail of the next scaffolding level is mounted from the lower level with the Easy Frame, PERI UP Easy also provides a high level of safety in the system. 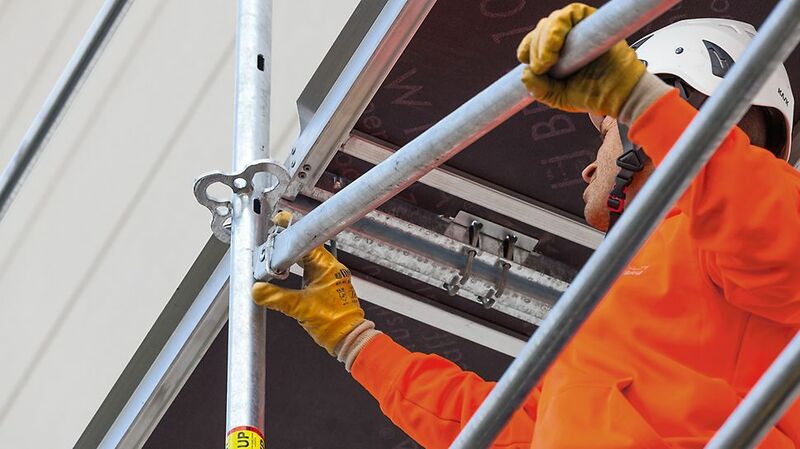 Through the integrated scaffold nodes on the Easy Frame, PERI UP Easy can be combined with PERI UP Flex Modular Scaffolding. 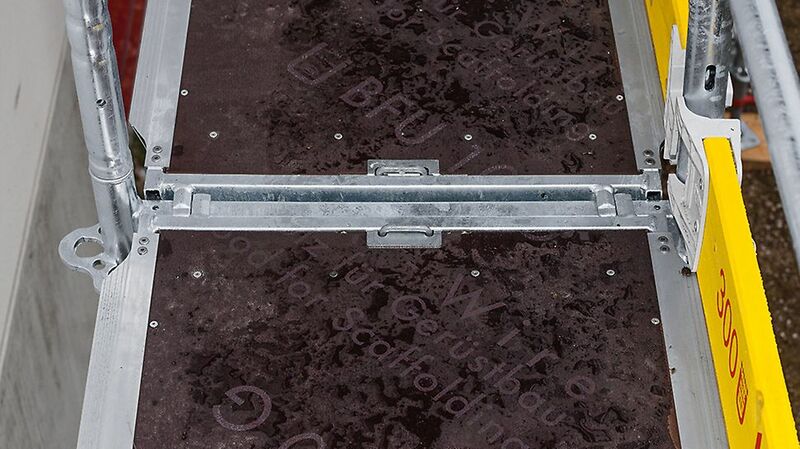 Assembly of the basic structure takes place virtually without couplers whilst the Easy quick anchoring system also reduces assembly times. 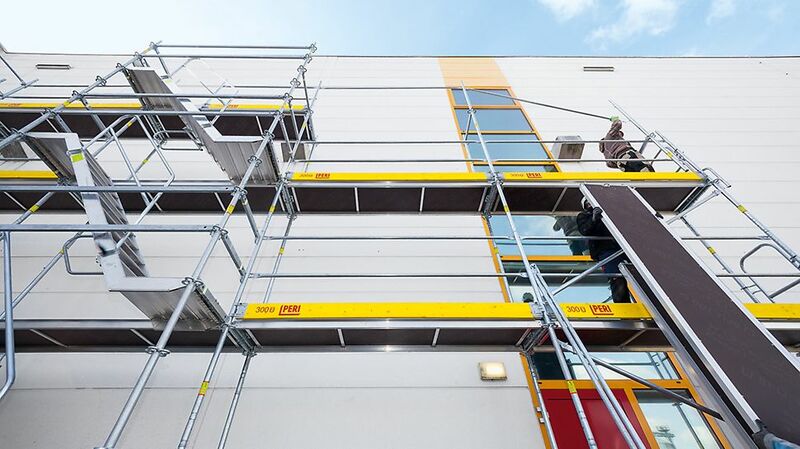 Numerous well-considered details, such as the execution of the external and internal corners with very few individual components, make PERI UP Easy fast and highly efficient. 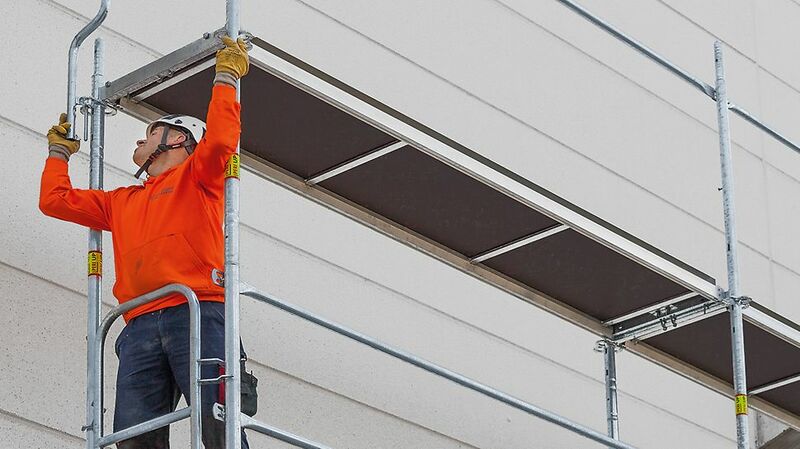 In addition, assembly of the PERI UP Easy is a very safe procedure: due to the assembly logic with the Easy Frame, the scaffolder is secured against falling without requiring rope protection when assembling the basic structure.